A Duncan Group production in association with Crouse Entertainment Group. 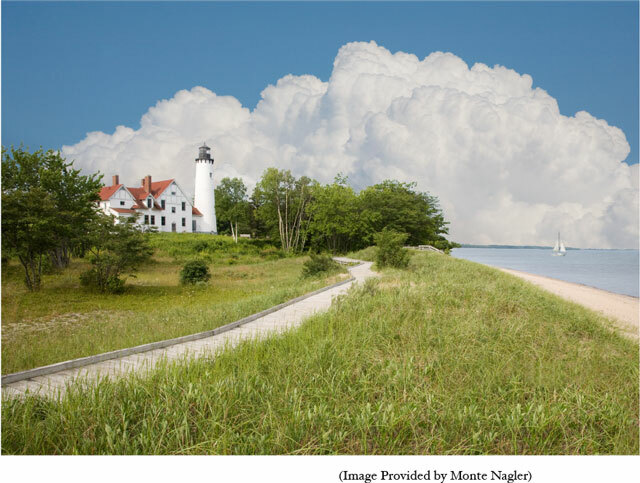 Michigan – Triumph of Nature & Enterprise is one of the most ambitious television projects ever produced on the state of Michigan for national distribution. This is a multi-platform project designed to explore and celebrate the traditions, history, and culture of Michigan. Major components include 60-minute public television special, radio series, traveling art exhibition, and community outreach. Crews have spent over two-years crisscrossing the entire state of Michigan filming its extraordinary beauty. In addition the documentary captures many important elements of Michigan’s history including, but not limited to: roots deep in the Native American experience to world renowned innovations in automation, farming, technology, manufacturing, and the arts. Key participants in the project include Crooked Tree Arts Center Petoskey/Traverse City, WGVU Public Media/ Grand Rapids, the Duncan Group and Crouse Entertainment Group. Production began in January 2015 and will last for nearly three-years. The Reagan Presidency is a three-hour public television special. This landmark documentary will offer an historical portrait of America’s 40th President as told through the recollections, observations and opinions of those who knew him and those who have spent considerable time analyzing the Reagan presidency. But the focus of the documentary is the crucial events associated with his two-term presidency and the legacy he left behind. The Reagan Presidency is a multi-faceted project that includes domestic and international distribution, a classroom series to be marketed to high schools nationwide, planned screenings and premiers, and proposed series of symposia at leading universities. Major funding provided by Boeing with additional funding provided by BNSF Railway. The mini-series is currently airing nationwide on pubic broadcasting. Please check local listings for the air date on your public broadcasting station. 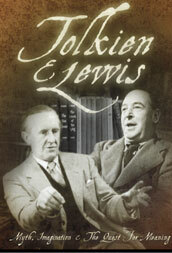 The first in depth documentary ever produced on C. S. Lewis for American television, The Magic Never Ends provides an intimate look at the most influential Christian writer of the past century. Children’s writer, Christian apologist, Oxford don, scholar, and popular lecturer, Clive Staples Lewis was the author of 38 books – all of which are still in print. The classics in the Lewis collection include The Screwtape Letter, Mere Christianity and A Grief Observed. 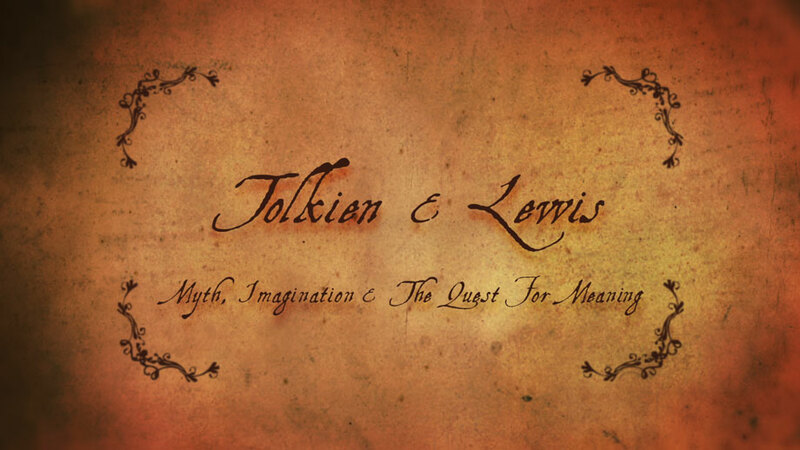 The documentary looks in depth at Lewis’s classic The Chronicles of Narnia considered the most popular children’s series of the 20th century. C.S. Lewis is remarkable for many reasons. While his life is profiled in significant detail in the documentary, it is his work that achieved a lasting impact. Scholars include Colin Manlove (University of Edinburgh), Lyle Dorsett (Wheaton College), Dabney Hart (Georgia State University in Atlanta) and Christopher Mitchell (Wheaton College) contribute extensively to the program's analysis of Lewis' work. In addition, the show features interviews with actress Debra Winger (from the movie Shadowlands), Walter Hooper (C.S. Lewis editor and scholar), and Lewis' stepson, Douglas Gresham. Music was composed by acclaimed musician David Barrett. From a chance encounter between producer David Crouse and Dr. Peale a friendship blossomed and the result? Dr. Peale consented to a series of interviews that led to the first in depth documentary ever produced on his remarkable life. Dr. Peale’s storied life spanned nine decades, and his motivational speaking and teaching influenced millions of lives. Dr. Peale has the unique and remarkable distinction of meeting or knowing every U.S. president of the 20th century - from Teddy Roosevelt to Bill Clinton. Sixty years after he penned the phenomenal best seller, The Power of Positive Thinking, his positive self-help philosophy coupled with a grounded and vibrant faith continues to have tremendous impact today - from sports, to health, to business, to one’s personal life. The producers made television history by interviewing five former U.S. Presidents for a single program, a television first. Interviewed were Presidents Nixon, Ford, Carter, Reagan, and George H.W. Bush. 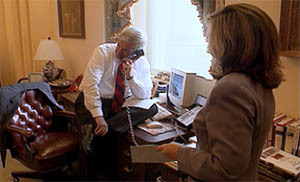 President Reagan taped the introduction to the documentary and the remaining four added personal commentary on the influence Peale had in their life and his lasting legacy. Dr. Peale and his wife, Ruth, opened up their extensive archives to the film producers. The resulting documentary is the most in depth look at Peale’s life ever produced and includes interviews with UCLA Basketball Coach John Wooden, motivational speaker Zig Ziglar, LSU Basketball Coach Dale Brown, President Kennedy speech writer Ted Sorenson, religious activist William Sloane Coffin, among others.